I am so glad that it is time yet again for another Friday. I will be more glad when it is the end of this Friday, because I have a busy day ahead of me, finishing off a full and busy week, leading into a full and busy weekend, it's just how I roll lately! I love that it feels like fall has officially settled in, there are still some of those surprise, warmer than anticipated days, but those are becoming fewer and far between. With the fall weather settling in, I can't get enough of warm comfort food lately, especially soups. It doesn't help that there is a Panera walking distance across the parking lot from my work and so anytime I need a quick bite to eat (most likely because I didn't have time to pack a lunch) I find myself running over there to pick up a bowl of soup. I kick myself every time I end up spending $5 on a bowl of soup, but it just tastes so much better than anything store bought. 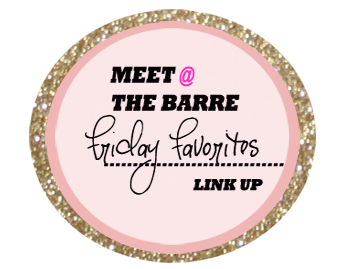 So this Friday I have gathered together 5 different homemade soup recipes to give a try to help fulfill my soup cravings, and carry me through this fall and winter. 1| Panera Autumn Squash Soup, I a super excited about this one because this has been my recent most favorite, have you tried Panera's Autumn Squash Soup yet? If not, you have to, it is seriously so so good, I only hope this compares! 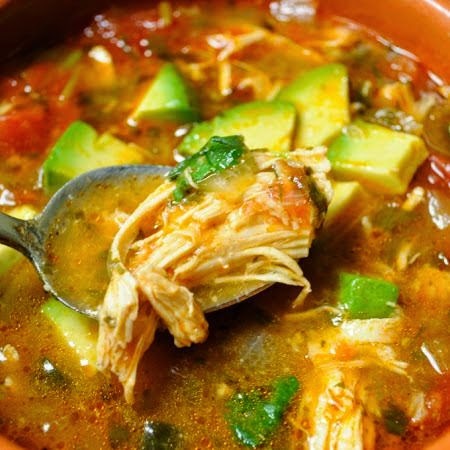 2| Paleo Chicken Tortilla-less Soup, I love chicken tortilla soup, you can't go wrong with it. I love that you can throw in different things depending on what you feel like, avocado, cheese, sour cream, tortilla strips, all of the above, you know. 3| Creamy Tomato Basil Soup, you can never go wrong with a classic. Tomato soup with a side of grilled cheese. 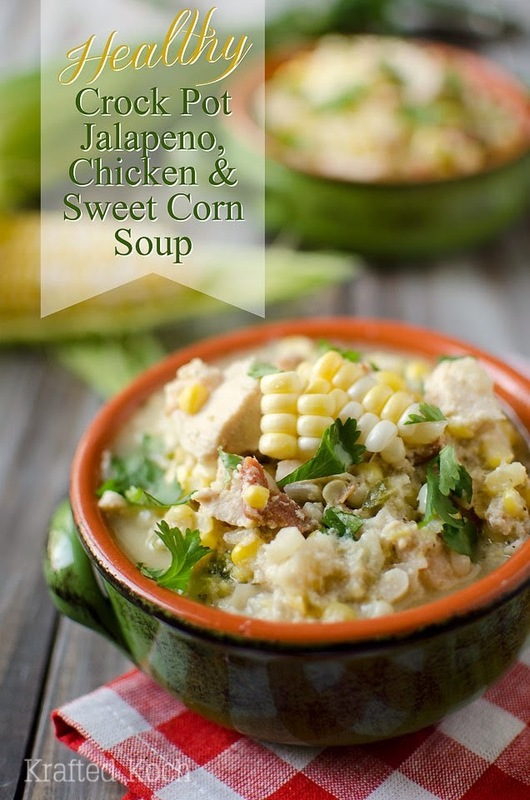 4| Healthy Crock Pot Jalapeno, Chicken & Sweet Corn Soup, love that with this recipe you can throw everything in the crock pot and let it work it's magic, nothing is better than that! 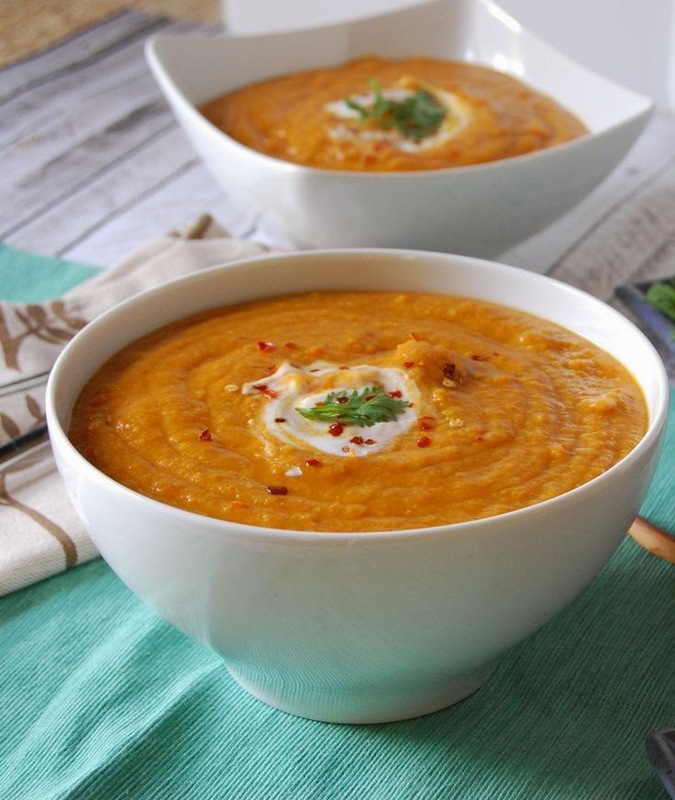 5| Moroccan Carrot Red Lentil Soup, this sounds yummy and totally different than anything I've made before so I'm excited to give it a try. Do you have any favorite soups or stews for the colder months? 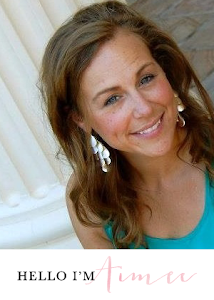 Please share, especially if they are easy to whip together! Hopefully I'll get at least one of these whipped up this weekend. I'm getting ready to do some traveling for work next week, but when I get back I'm ready to dive into the rest of these soups. I'm excited to go check out the last Vintage Faire of the season on Sunday, we went to check it out a few months ago and came home with a few small treasures. I'm looking forward to this one because they will have their holiday decor out, if nothing else it will be some great browsing. Happy weekend to all! STOP WITH ALL THE GOOOOOOOD FOOD! Soooo yummy, that first soup looks amazing! I need it now! 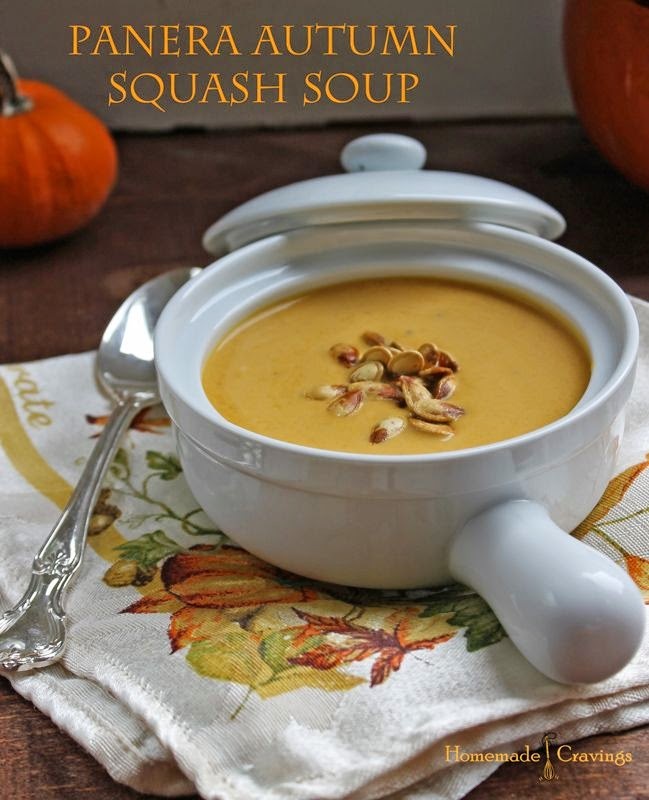 The squash soup looks sooo good, but I am sure they all taste amazing!! Those look so yummy!!!! I make taco soup the minute it starts cooling down! I LOVE soup! These all sound so delicious! I will definitely be using these! These all look so delicious! 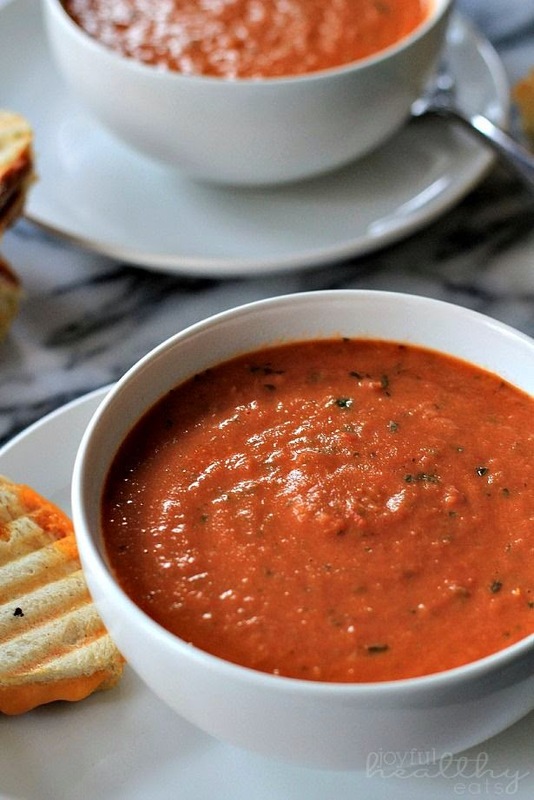 You never can go wrong with homemade tomato basil soup ... Or going to Panera to pick up their version. Ha! Have so much fun at the Vintage Faire - I'm so intrigued by it, and I hope you find some treasures! Those all look so amazing! I think the jalapeno, sweet corn one sounds the best! I hope so, we'll find out! Mmm, taco soup, I don't think I've ever had that, I'll have to give it a try! I hope that first soup is amazing, because the original sure is! It's just the best this time of year! The vintage faire is so pretty, but I only came home with one small treasure, but also with lots of DIY ideas! Hopefully I'll get to making them all over the next few months and find out, but that one sounds pretty good to me too!